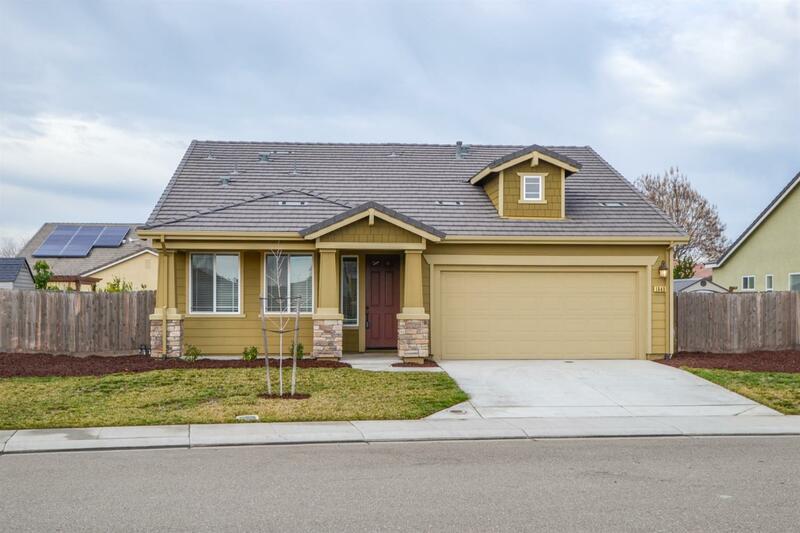 Great opportunity on this home located in Manteca. Close to all major freeway access locations, and across the street from fabulous shopping! Spacious and open floor plan. Lots of windows make this home light and bright. Located on cul-de-sac and good sized backyard. Floor plan features a large master with a HUGE walk in closet, dual vanities and large shower. Upfront bedroom features on-suite bathroom which would make good guest quarters. New carpet and flooring throughout. Large kitchen with large island. Features granite counters. Home was built with solar, and solar lease is paid for the first 20 years since home was built, buyer would be responsible after that. Lots of great things about this home! Take a look today to see if this home is right for you.